The Piaggero NP V60 is Yamaha’s attempt at bringing together high quality performance with portability, affordability, and ease of use. And while it’s not the most refined and exciting model that you’ll find from Yamaha, the Piaggerro NP V60 still has its merits. The Piagerro NP V60’s namesake is a combination of the words “piano” and “leggero”—an Italian musical term that’s translated as “light,” and Yamaha did this specifically to highlight the compact portability of this instrument. Sure, I’m a bit on the fence here, but the review will get far more specific as we go forward. 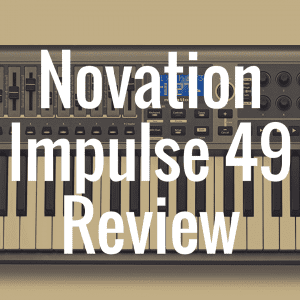 In fact, as you’ll see throughout the course of this review, there are some really good benefits to the NP V60, but there are also some things that would be a deal breaker for more “serious” keyboard players. As the saying goes, “You get what you pay for,” and I think that’s a pretty fair assessment of the Yamaha Piaggero line in general and the NP V60 specifically. Below, see how the affordable Yamaha NP V60 stacks up against its many peers in areas like weight, price, and customer reviews. Now, let’s move on to the NP V60’s keyboard. I will concede this—you could do a lot worse than Yamaha’s Graded Soft Touch Keyboard setup (which shouldn’t be confused with their superior Graded Hammer Standard Action). However, if you’ve spent any time on an acoustic piano or played on real Yamaha digital piano weighted keys, then you will be able to quickly tell that this Graded Soft Touch system is at nowhere near that level. Granted, this setup is better than a keyboard with no key resistance, but the keys themselves are not weighted—the resistance is coming from the spring action inside the body of the instrument. For some people, a 76 key setup will be more than enough, and this is especially true for beginning piano players who should be most interested in the NP V60. However, you should never plan on permanently sticking with 76 keys; eventually, you will need to upgrade to a full 88 key keyboard, and there are no models in the Yamaha Piaggero line that offer this. This means that, at best, the NP V60 will act as a transitional model for players. 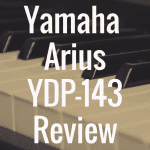 The sound quality of any piano under a thousand dollars can easily be a disappointment, but as you know, Yamaha is absolutely killer at recreating the rich, high quality sound of their acoustic grand pianos on their digital models. Your acoustic piano settings on the NP V60 will not be the best you’ve ever heard from Yamaha or the other brands; however, they are definitely a noticeable improvement over the acoustic piano sounds from digital keyboards in the same price range. The NP V60 includes Yamaha’s patented AWM (Advanced Wave Memory) sampling technology, but in my opinion, it just doesn’t have the speakers to faithfully reproduce the classic grand piano sound like some of Yamaha’s more expensive models do. As far as the instrument’s other voice options go, it’s all up to your own personal style and taste level. 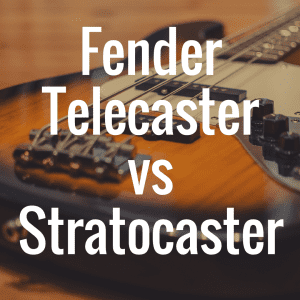 There are some options available (especially in the guitar section) that create a passable authentic instrument sound, but most of them are very middle of the road in terms of realism. I would imagine that some would find the drum kit options to be the most useful out of everything—it’s pretty hard to mess those up. I personally find most style presets to be a bit hokey and parodic of the styles they’re attempting to imitate, but for die-hard fans, you will probably be impressed by the NP V60’s wide range of style options—160 to be exact. One interesting thing to note is that these style presets are “smart”—in that they change according to the input that’s being given by the player. When you play louder, it plays louder; when you play softer, it too plays softer. 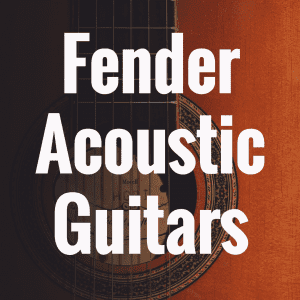 The style presets also provide you with an adequate amount of customizable options that include adding custom introductions and codas and adding extra verses to your performance for maximum jam session enjoyment. I will give Yamaha credit for including the synchronized start option with the style presets in the NP V60. With many comparable models as soon as you press the “start” button your stylized accompaniment begins. However, with the NP V60, the accompaniment won’t start until you do, which gives you time to get focused and situated, and this is something that could prove invaluable to beginners or others inexperienced with solo playing. The Piaggero Music Database offers you lots of preset combinations of styles and voices. While more experienced players would probably want to have as much control over the customization of their sound as possible, for beginners this is a great time saver. It can even recommend style and voice combinations based on what particular song you’re looking to play. As an added bonus, you can download more song options online, which means that you’re not stuck with the stagnant preset options that will come with the NP V60 from the factory. These new songs are transferred from the Internet to the NP V60 by way of its USB port. However, updating the Music Database is not the only thing that this port can be used for. There are a number of apps out there that can be used to enhance your playing experience with the NP V60. By connecting your iPad or computer to the instrument, you can access things like Note Star—the app that provides hands free scrolling music, as well as real backing tracks for your performances. These app capabilities make the NP V60 something to think about in terms of music education. The NP V80 is the next in line model from the Piaggero series. For the most part, it is exactly identical the NP V60. However, there is one key difference—the NP V80 comes with Intelligent Arpeggiator technology, and this definitely something worth considering. In my opinion, the Intelligent Arpeggiator represents both the best and worst of the NP V80. On the one hand, it’s definitely an impressive feat to see how far digital piano technology has advanced. However, on the other hand I believe it promotes laziness among musicians. In a nutshell, with the Intelligent Arpeggiator you can play a block chord and IA will improvise an arpeggio based on the instrument voice you have selected. For example, when the grand piano voice is selected, the IA creates a riff that is reminiscent of Bach’s prelude in C major from the first book of the Well-Tempered Clavier. TheNP V80 is available for less than $400, which still puts it squarely within the realm of the affordable digital piano; however, it’s still more than $100 dollars more than the NP V60. If I were in this position, I would simply use that extra hundred dollars to buy a different model of piano altogether, but I can see why some people, especially beginners, would like to invest in something as slick as the Intelligent Arpeggiator. Overall, the Piaggero NP V60 would make a great starter piano, but only with the realization that it’s not going to last you forever. However, this is not necessarily an ideal piano for educational purposes since it is so noticeably different from a real acoustic piano or fully functional digital piano. In all honesty, I would most likely recommend this piano to someone who just wants to have some inexpensive and fun music making from time to time. 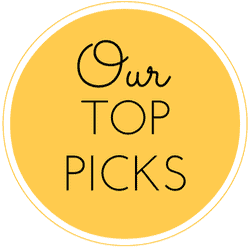 If you’re interested in more Yamaha pianos, you may also enjoy: What’s the Best Yamaha Digital Piano? For those looking for more pianos that are less than $500, you may enjoy: What’s the Best Digital Piano Under $500? 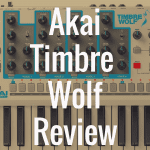 And, for more digital piano reviews, be sure to bookmark our homepage, as we constantly update our table full of reviews. Lastly, if you actually would like to hear the NP V60, check out this great YouTube demo below. 2) What’s the Best Keyboard for Beginners? 3) Digital Piano vs Keyboard: What’s the Difference? 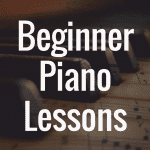 What Are the Best Beginner Piano Lessons?